Ryan likes his sport played efficiently, effectively and elegantly, like a Nic Naitanui hit out to advantage. Always searching for an interesting angle, Ryan loves nothing more than digging deep into the play and searching for the signal others miss in the noise. 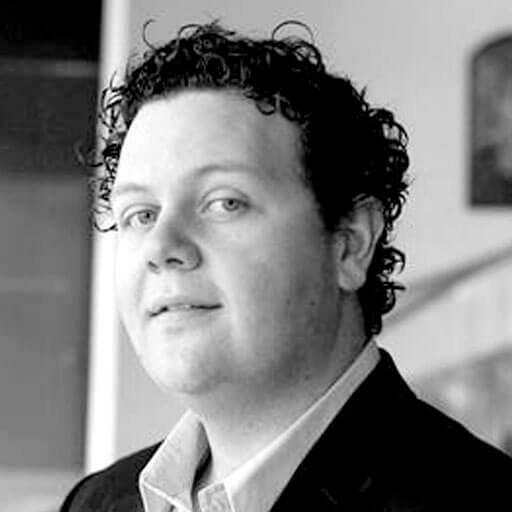 You can follow Ryan here (@RyanBuckland7). 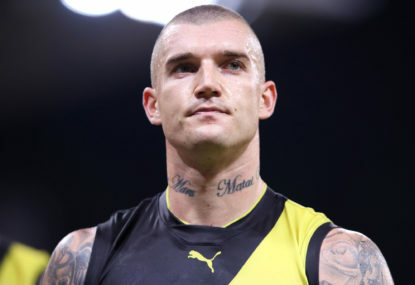 Acquiring a prime age AFL superstar has been a fraught and surprisingly fruitless exercise, according to recent history. And so we reach the end of The Roar’s AFL Top 50. Now we’re in the sorts of rarefied air where there’s not much more to add beyond the number next to each player. 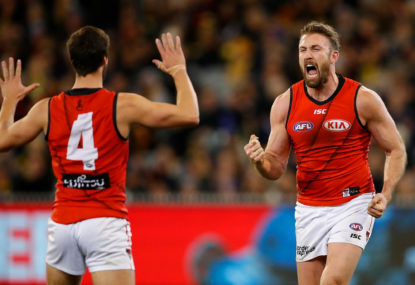 Facing one of the longest finals loss streaks in the league, Essendon has emerged as the 2018 offseason’s darling. One key unknown dogs them as the preseason gets underway. 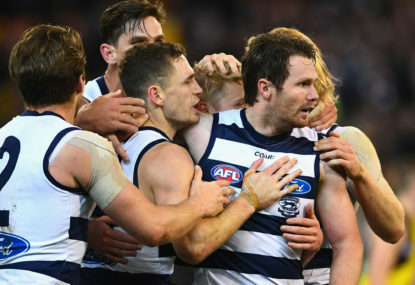 So much of last year’s football palace intrigue centred on just how far the AFL would go to change the rules of the game in response to some meta-elements of the game it found unsatisfactory. Numbers! Football! 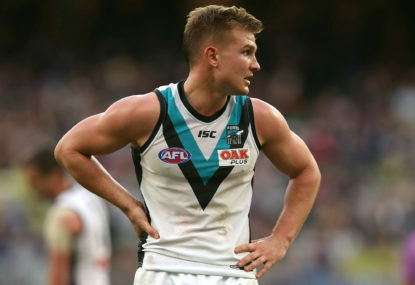 It’s time for our annual dispassionate look at some of the numbers behind the numbers in the AFL and see whether we can jag a bit of signal amidst the noise. With five games to go, this season’s finalists are all but decided. All that’s left to do in these penultimate power rankings is work out who’ll host them. We can equivocally draw a line under two of the competition’s eight teams with 13 games remaining. With a season-defining week ahead, another team or two could find themselves out of it sooner than later. 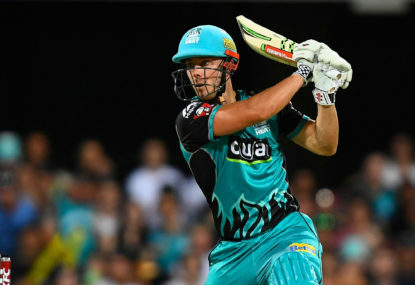 The BBL took the back seat to international cricket this week, and perhaps fortunately so given the standard of play once again failed to reach any great heights. The top two is unchanged, and we’ve still got no idea what’s happening in between. 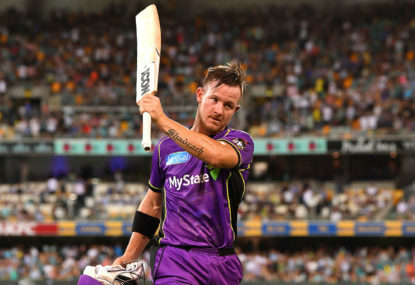 Halfway – yes, halfway – through this season’s Big Bash, and it feels like it’s anyone’s tournament. 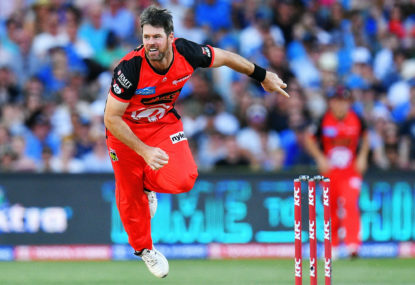 Ranking the BBL teams is my own personal Bird Box Challenge. 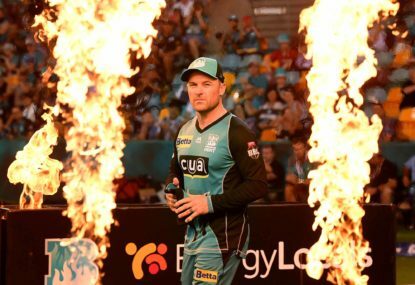 Each team has two games in the books, and there’s been plenty of change in this week’s edition of the Big Bash power rankings. 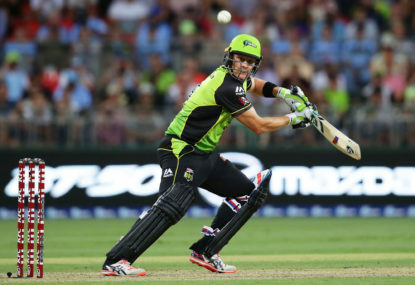 The best short-form cricket competition in the world is back, figuratively and literally bigger than ever. Each week we’ll be running through the games, power rankings style. 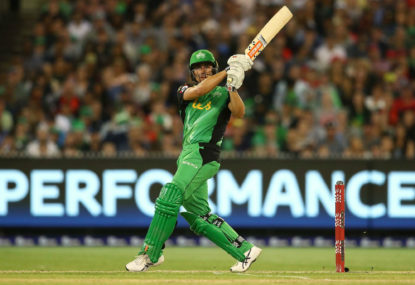 I reckon the Sydney Thunder line up of the first couple of years of the BBL has this one covered in terms of on-paper awfulness. 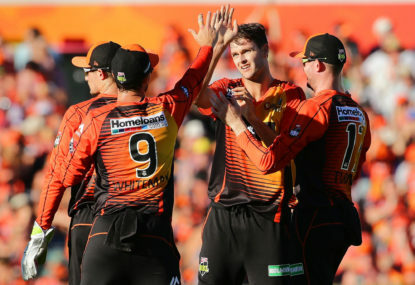 If there’s any consolation on-paper talent has meant very little in the BBL when it comes to finals spots. 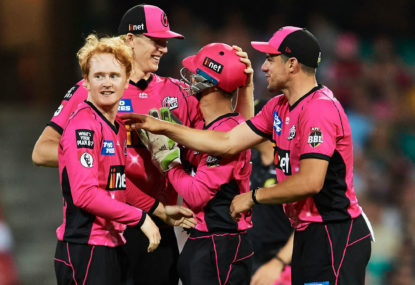 Hobart looked like it has put together a bad squad last year, and they made it to the final! Yeah I really think it comes down to their batting. There is enough there by way of both power and accumulation, but they’ll be fairly reliant on a middle order full of all rounders. Also not sure what Michael Klinger has been up to. You’re getting caught in the BS media narrative. 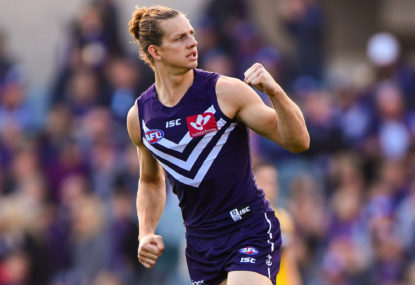 Look at it objectively: Fremantle converted a player who was evidently going to leave next year plus pick six into 3-4 best 22 players plus a draft hand equivalent to if they’d have finished in the top six. It’s phenomenal work. 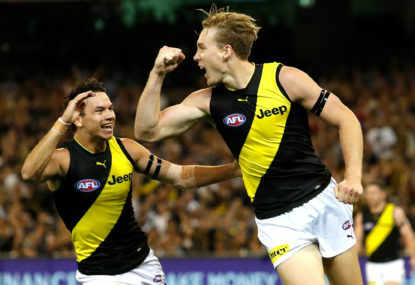 My top ten moments of the 2018 AFL season. Emphasis on the my. Of course it’s biased. Based on what I’ve heard over the weekend, I’m not celebrating until I see his signature on a piece of paper. I don’t think it’s ranting. Collingwood/GWS will be the third team in 19 years or something like that to play a preliminary final off a six day break. It’s just not the done thing. The AFL has lost the plot when it comes to appeasing its main broadcaster this year and this is just another example of it. 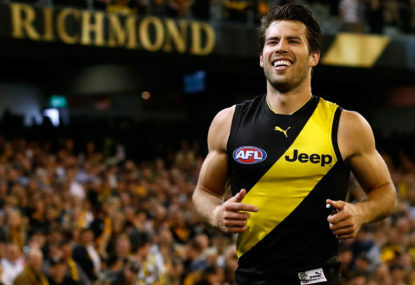 Rance led the league in one on one contests by so far it’s a joke, taking the best forward of the opposition most of the time, and lost fewer than almost all of them. Add to that his spoiling, intercept work and ability to set up the play and he is the first man picked in the team. It’s trendy to say he’s not that good; don’t fall for it. And the fans are heading for the exits. Q4 – 28m – And that’s probably the game. Melbourne finds Jake Melksham unmarked deep inside 50. He takes his full 30 seconds and kicks the goal. Melbourne by 17 points. Q4 – 27m – Dean Kent takes a mark just inside 50 from some good work from Christian Salem, and he kicks the goal. Melbourne’s up by 11 points, with two minutes on the game clock. Tough ask for West Coast from here. Max Gawn has gone behind the ball at this stoppage. 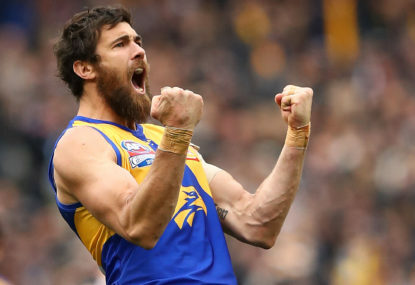 Q4 – 24m – Elliot Yeo takes a huge mark to help West Coast exit Melbourne’s half of the ground, but they can’t capitalise with a poor entry kick. Melbourne by five, and they’ve started to slow the game down. Q4 – 21m – It’s getting tense out there as the ball is camped on the West Coast forward 50. Melbourne gets a break and Mitch Hannan finds an unmarked Jake Melksham in the goal square. They’re back in front, by five points. Q4 – 18m – Mark LeCras puts West Coast in front! The Eagles break from a D50 exit and despite a poor Jack Redden kick which is smothered find Mark LeCras leading about 40 metres out. They’re in front. Huge. Seven minutes on the game clock. Q4 – 15m – And West Coast finds the answer! A free kick off the back of the square results in a West Coast forward thrust, and Willie Rioli snaps true roving a pack inside 50. Three points. Great game this. 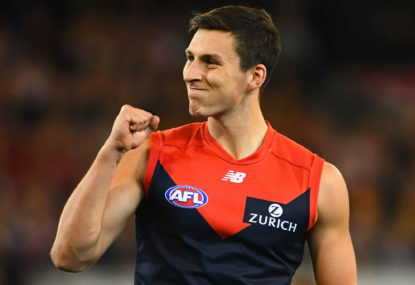 Q4 – 14m – Melbourne gets the centre break again – as they’ve done for much of the day – but Jake Melksham can’t find the big posts. The kick out heads out of bounds but West Coast manage to snuff the re-entry. They break to the open side but can’t find a shot at goal. That was a huge opportunity to close within a goal. Q4 – 12m – A sparkling run through the middle from Brad Sheppard, who finds Jamie Cripps inside 50. Cripps keeps the ball in front of him and hangs it to a wide open Mark Hutchings, who marks 40 metres out dead in front and goals. Eight points again. Q4 – 10m – We’ve definitely entered a different phase of play here, with the ball spending time going back and forth around the West Coast forward 50 arc. There’s skill errors and fumbles galore, and all we get out of it is a West Coast behind. 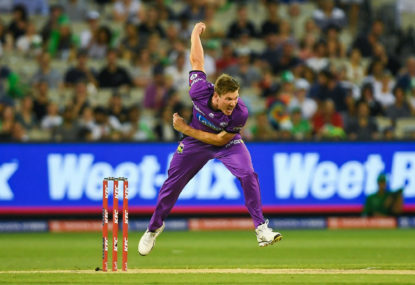 On the ensuing kick in another incisive Melbourne kick opens up the fat side of the ground, and Jake Melksham finds Mitch Hannan inside 50. He misses, and we start it all again. Melbourne wouldn’t want to be getting too conservative though, they have given up bursts of goals to the Eagles on a couple of occasions today. Q4 – 5m – The ball spends some time on the broadcast wing, and the Eagles get a clean look inside 50 on the back of some great work in the clinches. However the entry kick is shanked, and Melbourne exit with ease switching to the outer side. The game certainly looks a bit less skilful to start the last, perhaps the effects of the warm temperature are kicking in. Q4 – 3m – Melbourne gets the first of the quarter with some strong pressure locking the ball in from a centre clearance. Jake Melksham continues a very good day for Melbourne’s half forward line, and the Dees are out by 14 points again.